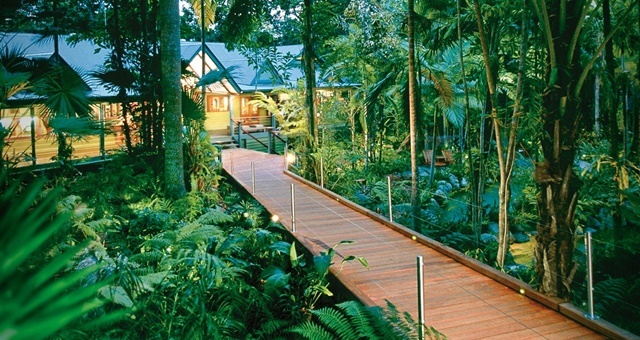 Silky Oaks Lodge in North Queensland will become Baillie Lodges’ first property in the state. Luxury remote lodge operator Baillie Lodges has moved fast after signing a joint-venture with KSL Capital Partners, announcing a new addition to the fold in the Daintree National Park in North Queensland. Nestled along the Mossman River, Silky Oaks Lodge will become the fifth member of the Baillie Lodges family, joining long-time stablemates Capella Lodge, Southern Ocean Lodge, Latitude 131 and the soon-to-open Remarkable Lodge in Tasmania. The new addition, also recognised as a member of Tourism Australia’s ‘Luxury Lodges of Australia’ group, marks the entry of the Baillie group into Queensland. Guests at Silky Oaks Lodge can indulge in nature-based activities including bushwalks, driving safaris and river snorkelling as well as access to Port Douglas and the Great Barrier Reef. As part of the Baillie Lodges collection, the property will be able to take advantage of a wider distribution network, operational expertise as well as capital for future property enhancements and new product development. Staff at the property will be absorbed into the Baillie network, giving them opportunities to relocate to other lodges within the group when chances arise. Founder and Executive Chairman, James Baillie, said he was thrilled to welcome the new addition to the group. “We see great benefits in Silky Oaks Lodge joining Baillie Lodges where there are so many synergies, including our relationship with the travel trade, opportunities for staff, supplier and cost efficiencies and above all, an enriched experience for our guests,” Baillie said. Silky Oaks Lodge officially joins the Baillie Lodges group from April.